Has a frame of Heavy duty welded steel and a throat capicity of 28″. With a working height of 12″. (Other sizes available.) 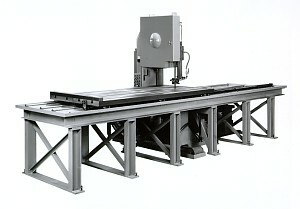 Band width max-capacity of 2″ and a hydraulic guide post.